untitled, c. 2004. this is one of the loveliest things. 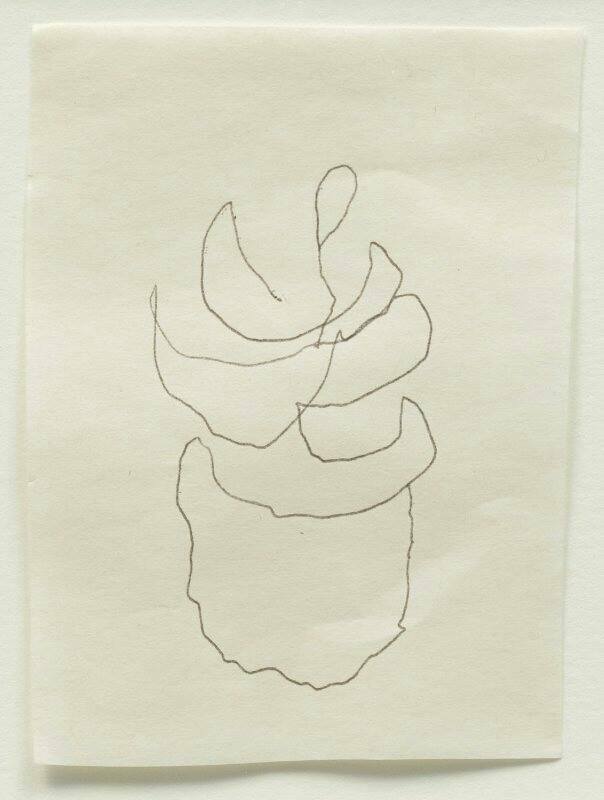 she's a minimalist artist who died at age 92.
who is she is is not as significant as the drawing; the minimal blind-contour form, simple child-like medium of graphite, shaky line. this is the last drawing of a dying woman. isn't that just interesting and beautiful?